Steve Paulson is the executive producer of Wisconsin Public Radio’s nationally syndicated show To the Best of Our Knowledge. He’s the author of Atoms and Eden: Conversations on Religion and Science. You can listen to the TTBOOK podcast here. There’s something about putting your brain where you hands are that frees up the word-centers of the mind, maybe a bit like meditating. This was amazing! Admittedly, I’d never heard of Teju Cole before, but I’m racing to read some of his works now. It is quite an interview but on my site I am so verbose and yet i also use images…art for my expression. It is tragic such a man has such a problem with his vision and it is a classic presentation for several eye diseases so I was surprised at his diagnosis…this is stuff I like to study but in emergency medicine there are many common eye problems we can treat. Blindness for us is only treatable if it is something new sudden like a presentation such as central retinal artery occlusion. I also found this man’s use of limited language something I have had to deal with in medicine since by it’s nature it is verbose and this has never changed…I use a lot of abbreviations to teach it in a phonetic language. People don’t learn the same so a combination of live speaking, self-learning, audio, video, images and writing in various formats is all important to get a person to recall large amounts of data…that is one of my goals…so it is not often just artistic for me…but without art I am sure I would lose my sanity. One of my major “crimes” in life is not to read other’s work enough. I have a huge library of books but it is not so much about personal content of personal lives…it is the history of the world or science in general or all of medicine…yet I don’t feel less human…I can’t make more time just control how i use it. It is a wonderful interview. I just appreciated it for that. A wonderful interview…thank you. “But the interesting thing about justice is that unless somebody pushes, nothing really happens. If black people don’t push and speak out, nothing changes in race relations. If women don’t speak out and make a fuss and make things a bit uncomfortable, gender relations don’t really move. As we say, it’s the person who wears a shoe that knows where it pinches.” His clean sentences and thoughtful perspective are a breath of fresh air. Great interview. I can’t wait to read the new book. Great post! I recently purchased a new camera and after looking at my pictures, I have noticed that my style was not the same. So, I see why he uses all nine cameras. This was actually a nice interview to read in the smelly swamp of WordPress mediocrity. 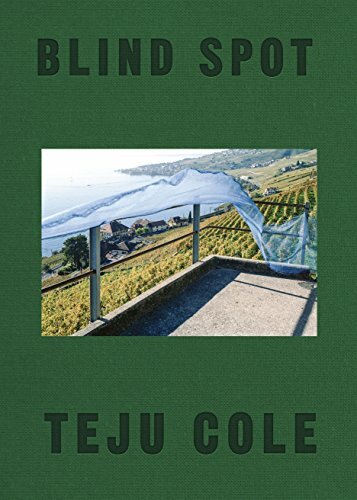 As a pleasant side effect, Teju Cole landed on my reading list. Cole’s statement that he is working in a new genre (the rhythm of text & image), one he believes he was developing himself (what hubris! ), is not only self-aggrandizing, but patently untrue. From Sebald to Cha to surrealist novels, such has been done, and even before the dawn of photography, there is a conceptual parallel to the use of text and image in illuminated manuscripts. Unfortunately, the interviewer seems completely ignorant of such knowledge and doesn’t question Cole’s indubitably contentious self-assertion. And Cole says he’s an art historian?? Equal perhaps to Gombrich, Georges Duthuit, Aby Warburg? Or maybe Vasari? How many books on art history has he written? This generation is so pregnant with exaggeration it’s astonishing.